Maxwell Angle Milling Cutters come in either right hand or left hand variety. They are manufactured using high quality and high-speed steel to make them effective in whichever environments. They are made of different classes of materials including M35, HSS M2 and ASP 2030. Their surfaces are coated upon request. The coating material protects the surface from elements and enhances durability. The single angular cutter – This has teeth on the surface at 30, 45 or 60 degrees. This makes it ideal for some areas depending on desired outcome. It means that you can only cut along a single angle and not both edges. It will either be on the right or left depending on what you are milling. The double angle cutter – It offers the flexibility of using both sides. Teeth are placed on both sides at an equal or alternative angle. This means that it can be used by technicians preferring the right or left hands. The two surfaces intersect at an angle that allows you to cut from either side. The single angle cutters are manufactured in your desired degree depending on your work environment. The specifications are given when ordering including if the teeth will rotate on the right or left. Technicians are keen to ensure that your specifications are followed and delivered with precision. Double equal cutters are only available 90, 60 and 45 degrees. This is because of the technicalities of doubling the cutting edges. These are standard specifications used in the market. Either side is as strong and effective as the other. It offers the advantage of convenience since you do not have to turn your milling objects or keep changing positions to cut effectively or mill on surfaces. The cutters come in a variety of sizes depending on target milling environment. The angular distance also varies according to client specification. This refers to the distance between two adjacent and similar teeth. The teeth are aligned for right-hand rotation or left-hand rotation. Angle cutters are used to make serrations and produce v-notches. 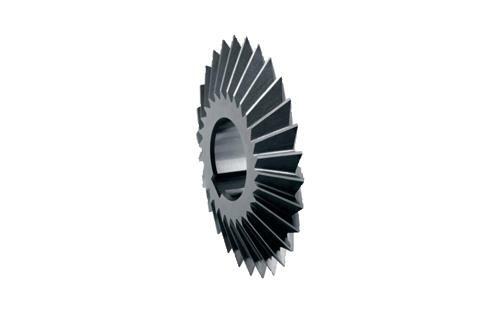 They also are used for milling threads and producing other angular surfaces. During ordering, one is required to specify if it is a single or double angle and whether it is for the right or left hand. This will ensure that you get the perfect tool for your work station. The diameter of the cutter varies depending on the area it will be used. Maxwell is committed to offering excellent services regardless of the size of the order. The quality of products is first class with reduced delivery time. These cutters are supplied to gear manufacturing industries, earth mover manufacturers and paper cutting units among others. Each of these industries has unique needs that will be met with utmost precision. Excellent customer relation creates a partnership that is geared towards success. The technicians are highly trained to deliver the best quality products. These cutters are tested and approved by industry regulators and through internal mechanisms. This guarantees high quality, effective and durable products. You will enjoy the most dynamic, versatile and flexible services in the industry.